Cell phones are dangerous when people use them while driving or walking down the street. Irresponsible and dangerous cell phone use, which is rising, can result in injuries to an unsuspecting person who is driving or walking. California has outlawed the use of cell phones while operating a motor vehicle. See California Vehicle Codes 23123, 23124, 23125. The Vehicle Code is very broad when it comes to handheld devices and include texting or other use of the phone or handheld device (i.e, social media use). 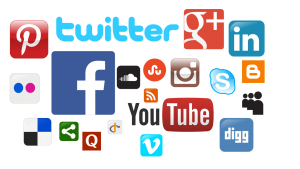 The social media that people use so much can limit or altogether eliminate the amount of monetary damages an injured person may collect when attorneys for the defense obtain access to the Twitter, Facebook, Instagram or other social media accounts of the plaintiff (the injured person who is suing). You should avoid posting to any of the social media platforms, physical activities that the insurance company may have access to without your knowledge. If you’re injured, you may sue and seek damages from the party or parties who caused your injury. Those parties’ attorney’s job is to limit damage totals or get the cases dismissed altogether. More than 11,000 people were injured in distracted walking accidents between 2000 and 2011, according to the National Safety Council’s website. And the rate of injuries is increasing year by year. That trend is expected to continue because more people are using phones. For your safety, realize that more than half of distracted walking injuries happen in the home, not when people are driving or walking down the street. The use of cell phones and social media carry a double whammy of danger. The person talking, texting or posting updates is in danger of injury if they do it while driving or walking. Plus, if an injured person sues a negligent party and posts stuff that refutes his claim, it can be used against him and greatly reduce or entirely eliminate recovery of damages. Even a post that seems to be benign can torpedo a personal injury claim. In a personal injury claim or lawsuit, your lawyer and his team collect information to be used as evidence to support the claim. But the defense attorney also seeks evidence to prove the person suing was at fault or had a pre-existing condition. The defense attorney will try to downplay the amount of damages the suing party sustained. The defense attorney collects evidence and finds witnesses who can refute the plaintiff’s claims for mental, physical and monetary losses. One thing many defense attorneys do these days is to gain access to social media accounts to read them or see photos showing evidence that the injured party was not hurt as bad as they claim. Also, if you had head trauma, for example, in an accident and posted to your social media something about a headache before the accident happened, a defense attorney may say your claim is invalid because you already had headaches or a pre-existing condition. Even if you have set your social media accounts to private so that only your friends can see what you post, state and federal courts have said attorneys can still obtain access to such accounts. Another thing to beware of is deleting information that you think attorneys could use to deny your claims. If you delete or destroy even private postings, there is still the chance that the defense has already seen it and printed it. If you get injured through the negligence of fault or another party, the last thing you want to do is to post stuff to your social media. If you decide you’ll keep posting to social media, don’t mention injuries or vehicle damage and most certainly don’t post photos of yourself playing sports or doing other physical activity. Refrain from angrily complaining about the defendant. This may be construed as the plaintiff being lawsuit-happy or suing out of bad blood. Another note of caution: Some attorneys request friendship with people who are injured so they can monitor the injured person’s account for updates that would damage the lawsuit. Don’t automatically friend everyone who seeks it. We believe it’s OK to friend your own attorney so that he/she can monitor your posts but not the defense attorney. We have also heard of cases where defense attorneys or their staff will befriend a plaintiff to see what they are posting. Also, be careful of friend request for nice looking men and woman or “hotties” that do not have any friends in common with you, this may be a spy for the defense. Personal injury attorneys are experienced at getting people who are injured through the fault of others the maximum amount. Don’t make your attorney’s job harder by sabotaging your case on social media. If you were injured in an automobile or other type of accident, please call us at (909) 380-7200. You may also contact us on the Web at https://krasneylaw.net/contact-us. Next Post: What Is a Personal Injury Lawsuit?